I just picked up a Modwright SWL 9.0 preamp for right around your budget. This is my first step into tube gear and it sounds great. A definite jump in performance from even my McCormack RLD1 pre. I was thinking about buying one of those Schiit Freya pre's previously mentioned but then came across this. Couldn't be happier for the money paid. I does not have balanced inputs. 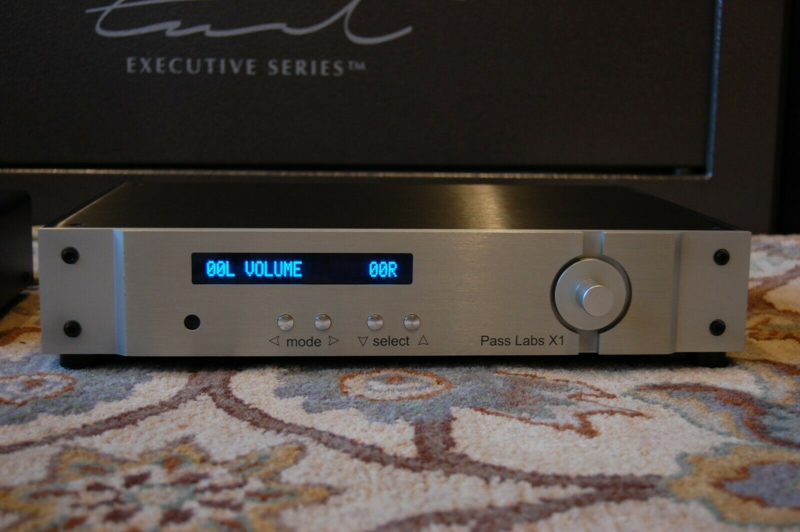 Not trying to get you to spend more than you are comfortable with, but so far the only preamp suggested that ticks all your boxes is the Pass X2.5... it just isn't at your price point. I have a call into the seller to see what his best price would be on it for you. This is the one piece of gear you will own that you never feel need to upgrade from, and worth exploring. LOL! I just looked at your avatar! Tardigrades are cool man! Don't do it. I'm already committed. I'd post a picture but the straight jacket is preventing me from reaching my phone. Yup! Darn near indestructible. They've been on the planet forever and they can live in the harshest environments (even in space!). I'd refer you to George Carlin's classic routine Shoot from his album FM and AM. If you took a Schitt..... Put it back!!!! Is that like pounding sand? Is it like those take a penny, leave a penny trays in convenience stores? The Schiitheads Head Schiits could start a clearinghouse for the Schiit aftermarket, you know? Coming soon to an audio boutique near you. There's a Warren Zevon song that's, perhaps, appropriate in the context of the recent tack of this, uhh, discussion. I don't think it would be a good idea for me to post a link to it here, though. Even the title is NSFW, as it were. Cannot say enough about how good these preamps are... someone buy it PLEASE! Hehe. I certainly would like an end game SS pre for sure! Thanks to John I’ve narrowed my search to Pass Labs! How much... found it. That one is overpriced by at least 700 bucks. Yep. That's the one I PM'd you about awhile ago. Has not sold after the 3rd listing, since I've been keeping an eye on it. Find a used Cambridge Audio 840E. My Pass pre was recently broken, and while it was being repaired I used my 840E in its place. It was 80%-90% the equal of the Pass XP-22. No lie.